California State University, Northridge students now have a new way to get around campus. 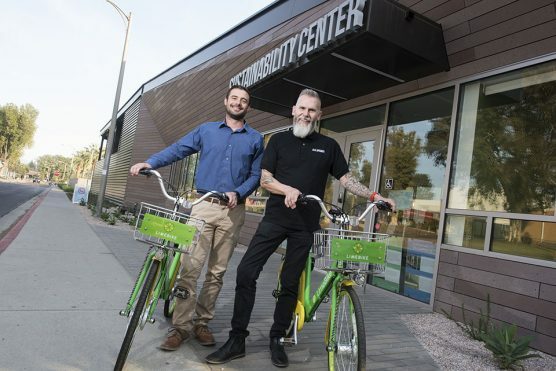 On Jan. 16, bike-share company LimeBike delivered 400 bicycles to campus, launching a rental program that CSUN officials hope will provide easier, cheaper, faster transportation to class and around town. I did a lot of walking there in the 60’s !